Son (2nd grade) asked a tough question today... "What should I be when I grow up?" Here was a perfect learning moment. He cared enough to ask and he still value my opinion enough to ask me. I was filled with pride.. yet this was a very difficult question to give a straight answer. Here was my on-the-spot answer .. Probably too abstract for him to understand right now, but hopefully it sets the foundation for more future discussions. There are three kinds of things that you can do. Sometimes those things are the same, if you are lucky. I'm very lucky. I like to make software, I'm pretty good at making software and it's important to other people so they pay me to do it. I like to play with you but no one pays me to play with you. I like to read. Reading is important to me, but I don't know how to write a book. So if I want to keep reading, I have to pay money to people who are really good at writing books. Everybody is different so I can't tell you what those things will be for you. You will need to try really hard at different things so you can find out for yourself. How would you answer this question if your young child asks you? Now, I look back at my answer. 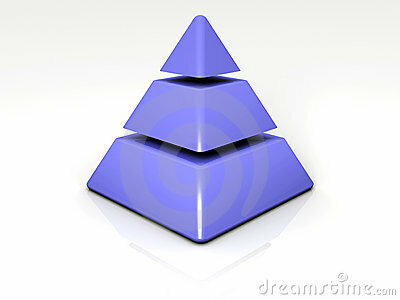 I'm not sure if Venn diagram or the pyramid is the best way to represents this list. If it was a perfectly rational world, you can only be good at things that you like to do and people will only pay you for things that you are really good at doing. People and work places are far from rational. People pay for many reason not related to talent or skill. Or there can be so much demand for a job that anyone that took 1 or 2 college classes can get a job even if they are terrible at it. Venn diagram is probably the best representation. 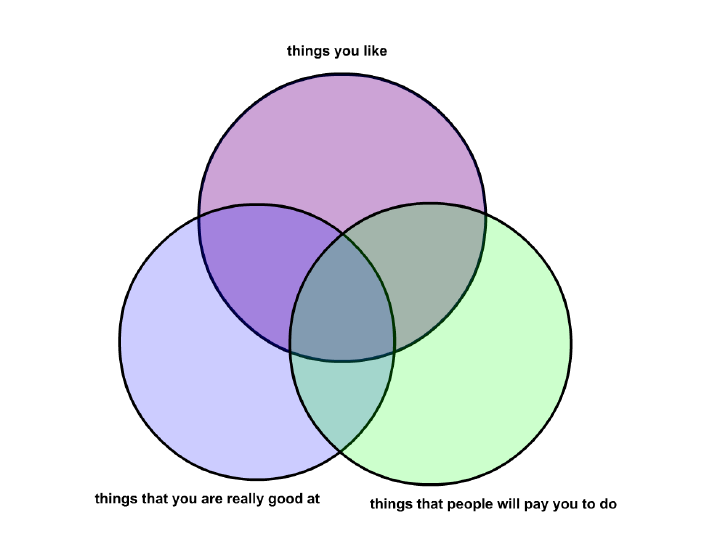 - things that you don't like, but you are really good at and you get paid. You'll eventually get burned out. - things you like and you get paid, but not ready good at. You'll reach a compensation maximum. - unless you're a trust-fund baby, you'll eventually need to get paid. So try it out, doesn't matter if you are getting your first job or Exec with 30 years of experience. 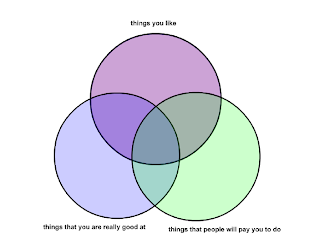 You can make a list of things that you can to do that fits the different segments of the Venn diagram. Then think about how you can re-align your life and works choices for optimal balance by moving to the center of the diagram.